The Government will today announce its proposals for shaking up the system for how to pay for long-term care for the elderly in England. Health Secretary Jeremy Hunt appeared on the Andrew Marr show on the BBC yesterday to give initial details of the long-term care plan which will be fully explained today in a statement to the House of Commons. The new measures are expected to include the raising of the means-testing limit in England when it comes from paying for care from assets of more than £23,250 to a new threshold of £123,000. At present, those with savings of between £14,250 and £23,250 also have these assets taken into account. The Which? 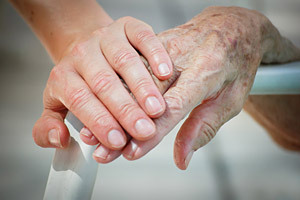 Money Helpline has a team of qualified experts that can help you with long-term care queries. Sign up to Which? for just £1 and speak to our experts. There’s also likely to be a new total cap of £75,000 on the costs that people in England have to pay for the care they receive. The Dilnot Commission’s report published in July 2011 had recommended a cap on what people pay of around £35,000. One of the main aims of the changes, the Health Secretary said, was to address the fact that up to around 40,000 people every year are forced into disposing of their properties in order to meet unlimited care bills. The changes announced by Mr Hunt only apply to long-term care in England. The Welsh Government has announced that it will ‘study the proposals in England in detail’ and is expected to confirm similar changes in due course. In Scotland the system is different. Personal and nursing care are paid for (to a limit in 2012-13 of £163 and £74 respectively) for those who qualify on grounds of need, irrespective of means. However, accommodation (‘hotel’) costs are privately funded by those with assess of over £24,750. The changes to social care are thought to be part funded by a freeze on inheritance tax rates. Chancellor George Osborne announced the Autumn Statement that inheritance tax rates would rise from £325,000 (£650,000 for couples) to £329,000 (£658,000 for couples) in 2015/16. This will now be delayed until 2018/19. Richard Lloyd, executive director of Which? said in the response to the proposed measures: ‘The current system of social care is complex, daunting and difficult to navigate, so it’s good to see the government moving at last to end uncertainty about people’s eligibility for financial support. ‘Increasing the eligibility threshold to £123,000 will provide some much-needed financial help to many who are currently faced with paying the full cost of care. But the introduction of a £75,000 cap will still see many using up a large proportion of their assets on care costs. This story was updated on 25 February to clarify details for Scotland and Wales.